The term Cloud hosting origins from Cloud computing, where two and more computers are connected in a system. The servers included in this system are not simply bundled, processing different tasks, they are collaboratively processing redundant tasks and storing data parallel, which guarantees the security of your data and the flawless experience for your users or website visitors. Connected together they share resources and thus can act as a supercomputer. 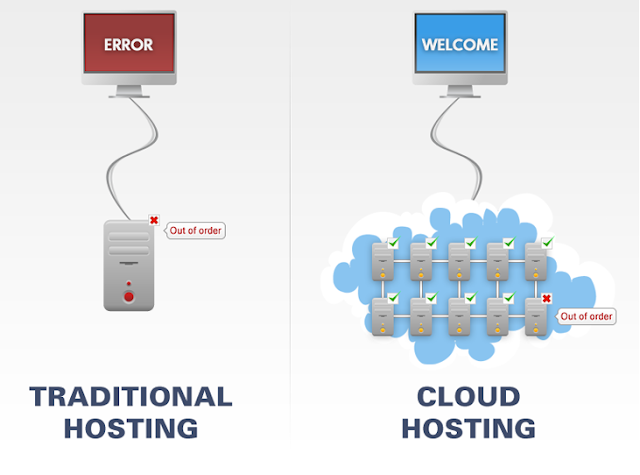 Cloud hosting today is based on the most innovative hosting technologies available right now and allows your files stored and your websites to be hosted on unlimited number of machines that act as one system. The infrastructure is not limited to a singe server or data center as in the traditional hosting. In Cloud hosting the web hosting services like files storage, ftp, mail services run on many different servers. This separation ensures that if there is a failure in one device this will not cause a failure in the entire service. In the Cloud there is an option to integrate additional resources if needed. RAM, disc space or bandwidth etc. can be added with few clicks and dismissed when no longer needed without financial loss. Thus Cloud hosting can be defined as a web hosting solution that provides resources on demand. 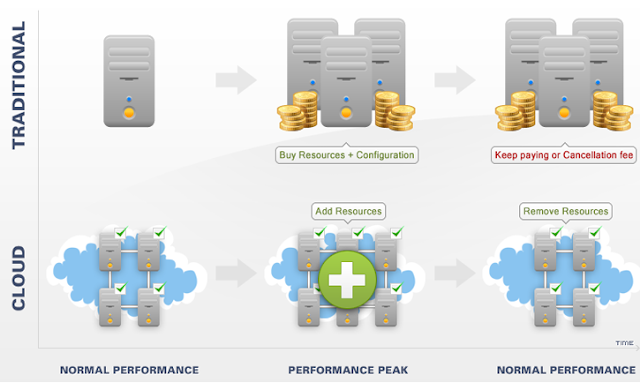 It is dynamically scalable and customizable according to the needs of the customer. No large investments are required. Unnecessary resources can be removed without any cancellation or further fees.